Coronation Street fans have taken to social media to call for changes to the cervical cancer screening age, following the news that pregnant Sinead Tinker has a lump in her cervix. 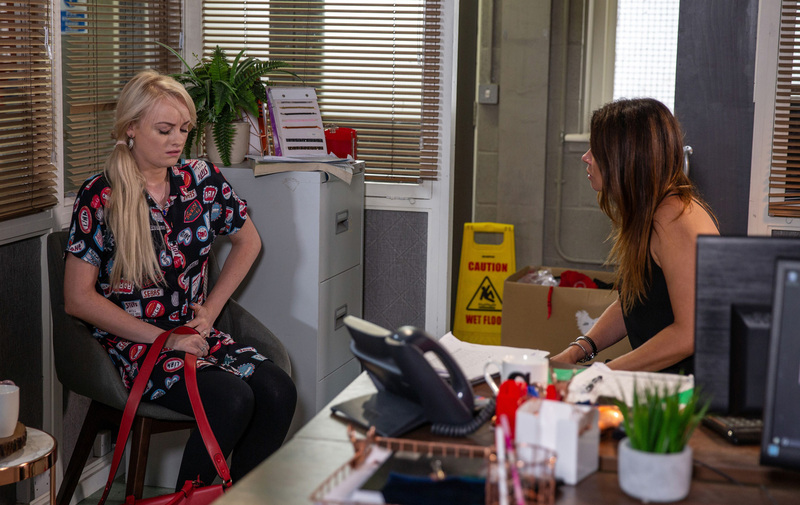 In last night’s episode of the ITV soap Sinead – played by actress Katie McGlynn – received the heartbreaking diagnosis during her 12-week scan. Obstetricians warned that the lump could potentially be cancerous and needed to be investigated further putting her longed for baby with fiancé Daniel Osbourn, played by actor Rob Mallard, at risk. The news carries even more of an emotional charge as Sinead terminated a pregnancy last year, putting a huge strain on her relationship with Daniel, and eventually causing them to break up temporarily. Should Sinead open up to Daniel and Beth? Sinead has also kept the doctor’s revelation a secret from Daniel, attending appointments without his knowledge. The shocking storyline clearly struck a chord with viewers, with many Tweeting their reactions and revealing their hopes for the cervical cancer screening age to be lowered below the age of 25. In an interview with the itv.com website about the storyline Katie revealed her hopes about for raising awareness about cancer during pregnancy. ‘There’s so many women that are affected by cancer during pregnancy but it’s one of those subjects that nobody really hears about. When I initially heard about this story I thought ‘oh gosh that must happen’ but you never hear about it,’ she said. Figures from Cancer Research UK show that the peak rate of cervical cancer cases between 2013 and 2015 were in the 25 – 29 age group. The charity also revealed that ‘most women diagnosed with cervical cancer during pregnancy have early stage disease’. Continuing, their advice outlines that pregnant women who are diagnosed with cervical cancer and are more than three months pregnant may need treatment straight away and their baby may need to be delivered early via caesarean section.